SMC NCMB106-0050-DUM01672 Pneumatic Cylinder for Ventana Discovery XT Lot of 2 . New Life Scientific, Inc. 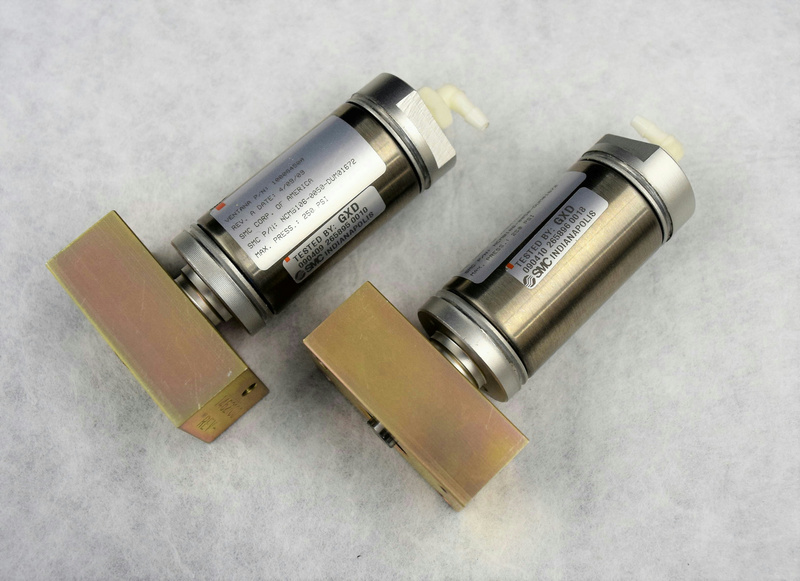 The SMC pneumatic cylinder is made of stainless steel and is space saving and high performance. This cylinder was removed from a Ventana 750-701 Discovery XT Automated Slide Stainer. The equipment is show in the photographs for reference only. The Ventana part number for this part is 1000064500. These pneumatic cylinders are untested by New Life Scientific technicians. As always the buyer is protected with a money-back guarantee in case of malfunction. These pneumatic cylinders are in excellent condition.